Well, then do I have the show for you! To see me in action go to the corner of the Queen Elizabeth Plaza by Cambie street near the CBC building. I’m positioned in the last row on the corner of this side. There are also a whole bunch of awesome people I’ll be dancing with too. Montreal-based choreographer Sylvain Émard of Sylvain Émard Danse has brought joy to audiences from Portland to Mexico; now it’s Vancouver’s turn to shine. 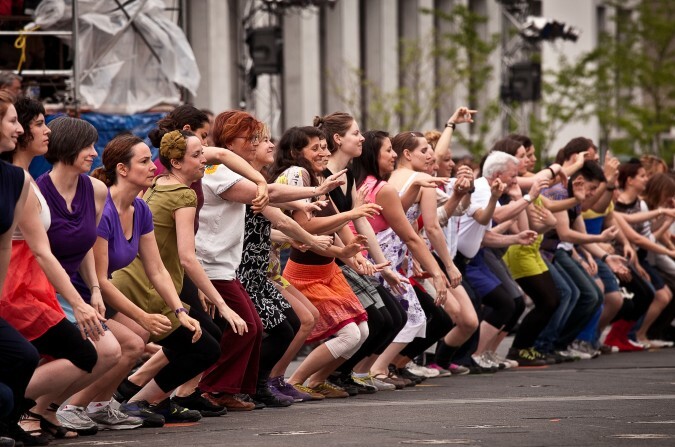 Émard auditioned community dancers from across Vancouver for a chance to be part of a massive public dance. Chances are you’ll know one of the performers, or you yourself are one! Le Grand Continental® combines elements of traditional line dancing with contemporary dance, and the mix is infectious, taking the spirit of old-fashioned communal dance and bringing it up to date. The choreography is a delight to behold, complex enough to wow spectators but still infused with the spirit of catharsis and fun. The result is a huge, joyful convergence of energy, with a mass of people coming together over humanity’s universal languages: music and movement. A pleasure to be part of and a beauty to behold, this will be one of the key civic events of the year. See you there! 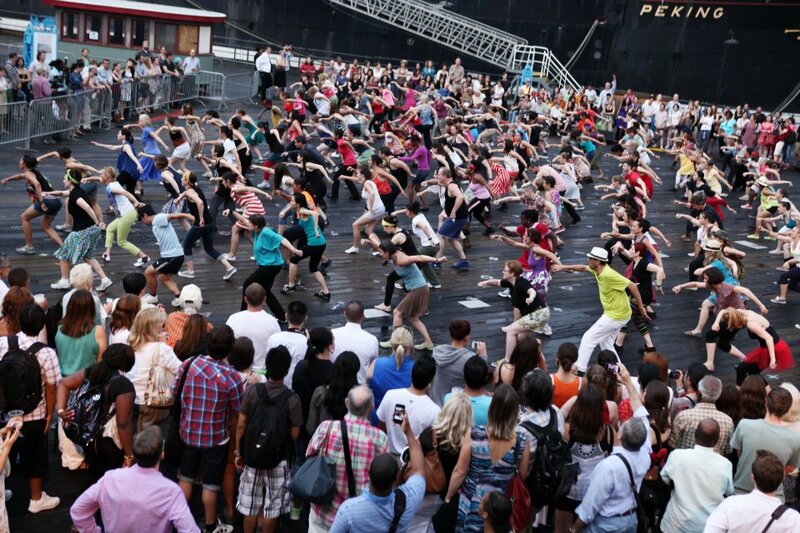 Please note: This performance takes place outdoors, rain or shine.